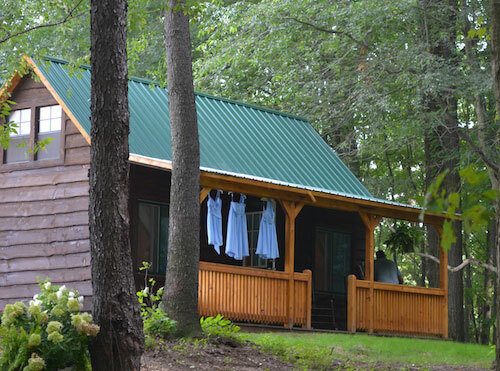 Our rustic cabin located near the Woodland Chapel is the ideal Bridal dressing area. One dramatic step out the front door and our Bride begins her memorable walk to the future. There is a Grooms Dressing Cabin coming in August 2015!